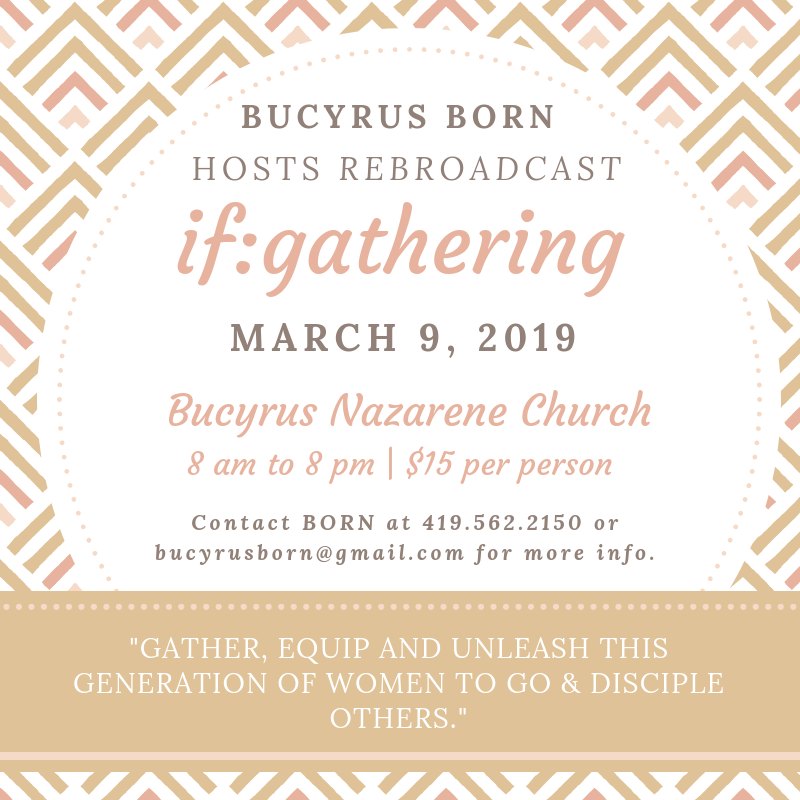 Hosted by BORN at Bucyrus Nazarene Church on March 9, 2019. $15 per person at the door. Register online at https://bucyrus.iflocal.com/ or call BORN at 419-562-2150.